The Apple Watch Series 4 is Apple’s biggest upgrade for its popular wearable to date, but we’re still waiting for one of its marquee features. 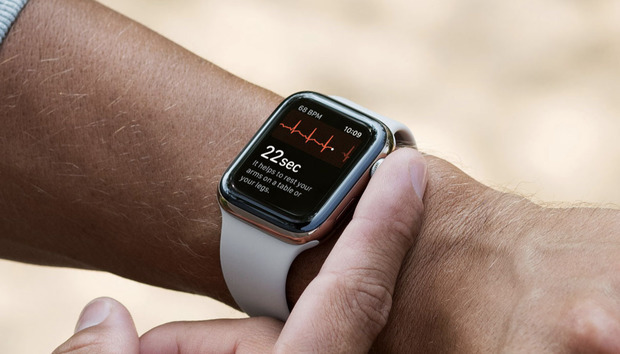 In September, Apple made a big deal about the device’s ability to perform an electrocardiogram—abbreviated as ECG or EKG—for your heart by putting your finger on the crown and waiting for 30 seconds. It might be the Series 4’s coolest new trick, but it has perpetually been listed as “coming later this year,” and the year is coming to a close. Fortunately, we may not have to wait much longer. MacRumors is reporting that the ECG functionality will debut with the public release of watchOS 5.1.2, according to an internal Apple Store training document. That release could happen any day now, as the developer beta of watchOS 5.1.2 was released about three weeks ago. (There are no public betas of watchOS.) While the beta does not contain the ECG app, Apple training documents rarely get this sort of thing wrong. Three weeks is a pretty long beta period for a minor release, and with only a few weeks to go before the holidays begin, it’s sort of now or never. If Apple’s going to get the ECG feature rolled out this year as promised, its release window is pretty short. As a reminder, the ECG feature is only going to be available to users in the U.S., as Apple has yet to secure the necessary regulatory approvals for other markets. It is also not meant to be a substitute for a real medical-grade ECG. Still, it should provide some fascinating data and we can’t wait to try it out. OpenStack Summit: "We're at a major inflection point in the cloud"